Prepare a 30cm x 20cm slab tin by spraying with cooking spray. Line base of tin with baking paper. Combine butter, chocolate, sugar, water, vanilla and coffee in a medium-sized saucepan. Stir over a gentle heat until chocolate is melted. Do not have the temperature too high or the chocolate will burn and be ruined. Stir well. OR Combine butter, chocolate, sugar, water, vanilla and coffee in a microwave-safe bowl. Microwave on high for 1 minute and stir. Continue to microwave on high for 20-second intervals until chocolate is melted. Stir well. Stir in whisky (or whisky essence). Sift plain four, self raising flour, baking powder and cocoa into a medium-sized mixing bowl. Stir in almond meal. Stir into cooled chocolate mixture. 7.
dd lightly beaten egg and beat mixture well to combine ingredients, using an electric food mixer. Place into a moderately-slow oven and bake for approx. 60 minutes or until cake is cooked when tested. Leave in tin for 10 minutes before turning out onto a fine wire rack to cool. 11. When cool, ice with chocolate icing. Place butter into a small saucepan. Melt over a gentle heat. OR Place butter into a small microwave safe bowl. Microwave on high for 30 seconds. Stir in boiling water and vanilla. Sift icing sugar and cocoa into a bowl. Gradually add sifted icing sugar and cocoa to butter and water. Beat well to mix to a smooth paste. Spread icing over cooled cake. 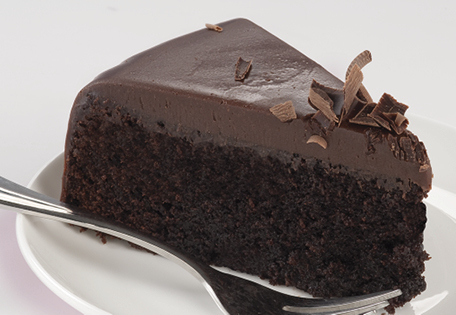 Use a flat blade knife dipped in boiling water to smooth icing.